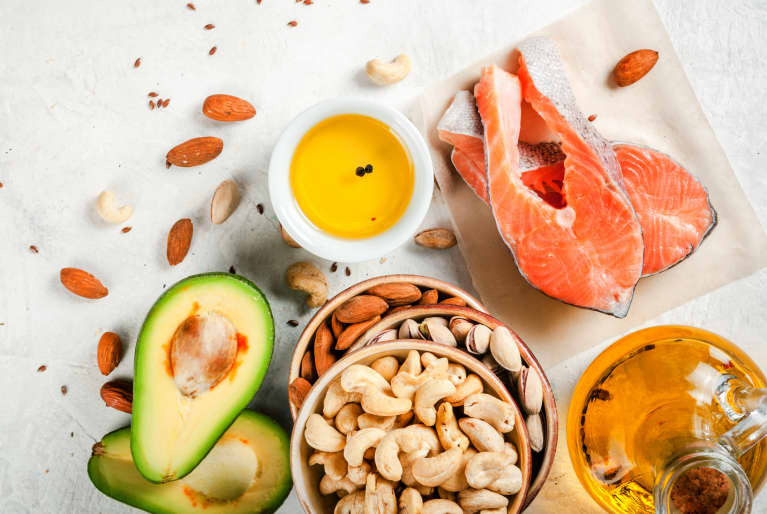 Today, you’ll see ketogenic diets promoted to prevent disease, increase energy, boost physical and mental performance, and so much more. But let’s face it: Most people want to try keto to lose weight. 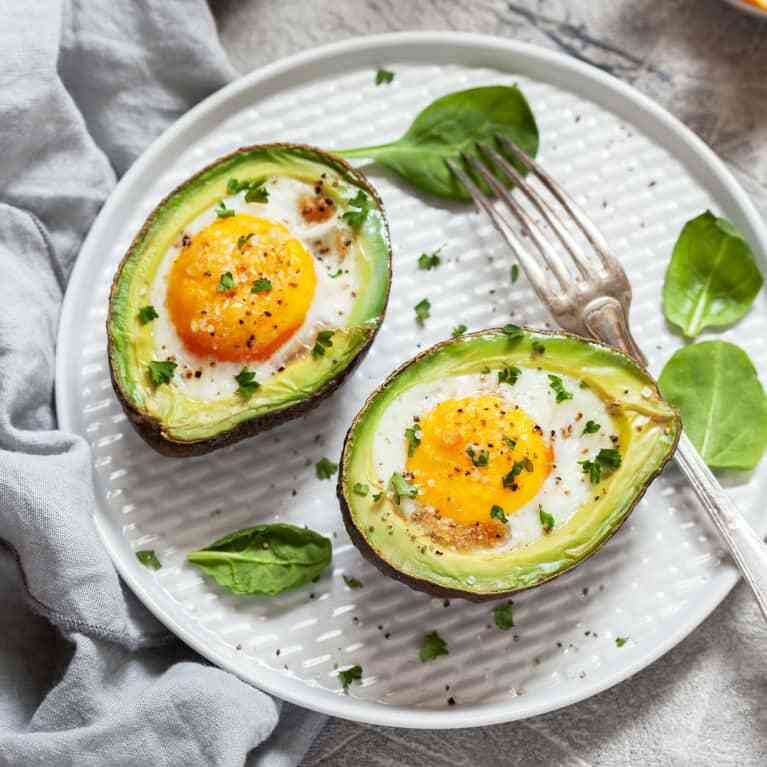 While that’s not a bad thing—you can lose weight doing it—ketogenic diets were never designed for weight loss, and done incorrectly, they can actually make you gain weight. 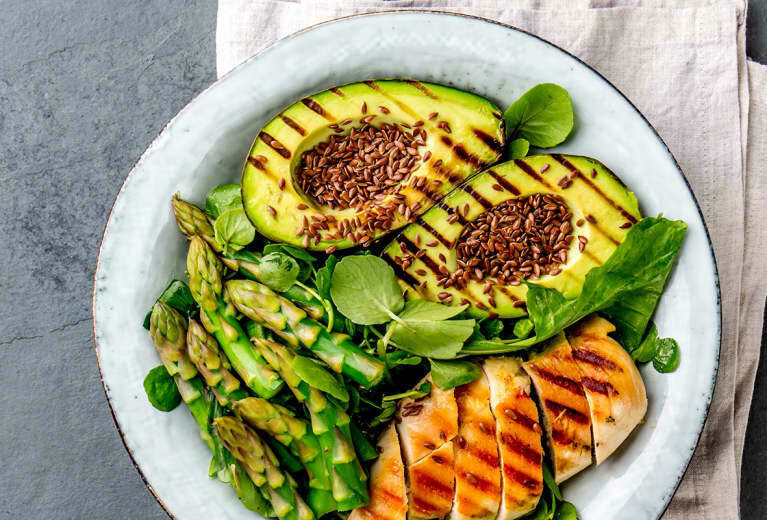 You’ll balance those healthy fats out with loads of gut-healing, microbiome-supporting, low-carbohydrate plant-based foods, including leafy and cruciferous vegetables. When you restrict your carbohydrate intake to less than 50 grams daily, you can still fit in plenty of non-starchy vegetables, maybe some low-glycemic (meaning they don’t bump your blood sugar) blueberries and other berries, and a small amount of non-gluten grains like quinoa (actually a seed and complete protein). But you’ve got very little wiggle room there before you theoretically get knocked out of ketosis. Perhaps noticing his patients’ boredom, Atkins in subsequent versions of the Atkins diet shifted the focus from ketosis to what is called “net carbs,” or your final carbohydrate count after you subtract fiber and sugar alcohols. In all fairness, you can do these plans without eating all those processed foods, although (let’s face it!) convenience and cravings mean you’ll likely be tempted to try them. And they tap into that weakness for “cheating” by making these options easily available. Who would refuse comfort food that is “compliant” with a diet? You can have your cake and eat it too, literally. I call this pseudo-dieting. Even then, eating potentially reactive foods like dairy (which is allowed from the very beginning on Atkins) can either aggravate or trigger food sensitivities (“no bueno”). Then you’ve got “keto-approved” junk foods like cookies, candy, and bread that promise to keep you in ketosis even as you indulge in your favorite comfort foods. The flip side is ketogenic diets that include almost no plant foods, focusing instead on meat, meat, and more meat. Bring on the bacon. Slather your steak in butter. Who needs vegetables? (Hint: You do!) Ketogenic diets are a practical invitation for vegetable-phobic people, and when you skip out on gut-healing plant foods, you create microbiome mayhem. Research here is conflicting. While you might think to reduce insulin-triggering carbohydrate foods would improve insulin sensitivity, that isn’t always the case. Rodent studies found at least in the short-term, ketogenic diets increased glucose intolerance and insulin resistance. Researchers speculate part of this insulin resistance occurs because of keto-adaptation, and once your body adjusts to ketosis, you become more insulin sensitive. Your mileage will vary, of course, and I believe going too low-carb could create these and other potential dangers. Many dieters complain that hunger sabotages their success. Ghrelin is the hunger hormone that tells you to eat. Research shows ketogenic diets suppress ghrelin, keeping you fuller longer. That makes sense: When you’re eating sufficient dietary fat and calories, you’re unlikely to be hungry. If you lift weights on a ketogenic diet, you might fear losing muscle mass taking in lower amounts of protein. That doesn’t seem to be the case since your body preferentially utilizes fat rather than protein during ketosis. Growth hormone, an anabolic hormone sometimes called your fountain-of-youth hormone because it keeps you lean and toned, plays a major role in regulating muscle growth and development, stimulating muscle protein synthesis. Researchers find a very-low-carbohydrate diet with sufficient protein does not affect growth hormone levels, at least in the short-term. If you’re a regular lifter, you might want to consider slightly increasing your protein intake during workout days and supplementing with a branched-chain amino acid (BCAA) supplement. Cyclical keto, where you would eat a higher-carbohydrate diet during your workout days, also makes for a smart strategy to maintain muscle. What really matters here is how you feel when eating a particular way. Your mood, energy levels, lab results, and mental sharpness (to name a few) are powerful indicators of whether a diet works for you both short- and long-term. Body awareness is key as well as not following a specific diet because you think it’s the “right” diet to follow. Listen to your body. And most importantly, if you feel off, seek the help of a functional medicine practitioner to assist you in uncovering the root cause of your malaise or diet resistance. Sometimes all it takes is a few small tweaks to improve your health. Can you really cut out healthier higher-carbohydrate foods (sometimes including berries and other fruit, legumes, and non-gluten grains) for a period of time? Are you prepared to work through “keto flu” and other potential drawbacks as your body shifts from glucose to fat (ketones) as its dominant fuel source? 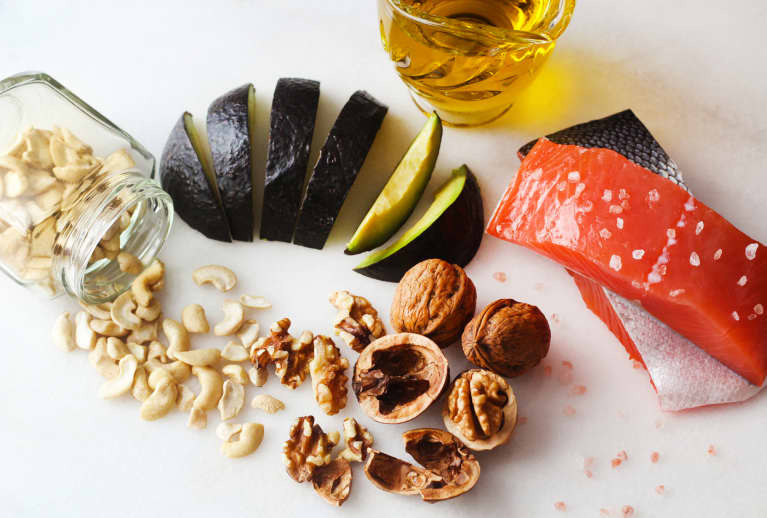 Can your body handle higher amounts of dietary fat? (To make this process easier, I recommend my patients gradually increase their fat intake. Your digestive enzymes need time to ramp up to be able to handle the higher fat content in your digestive tract, or it can cause unpleasant gas, bloating, and diarrhea.) Remember: If the thought of eating higher-fat foods like steak or avocado doesn’t appeal to you, keto probably isn’t for you. 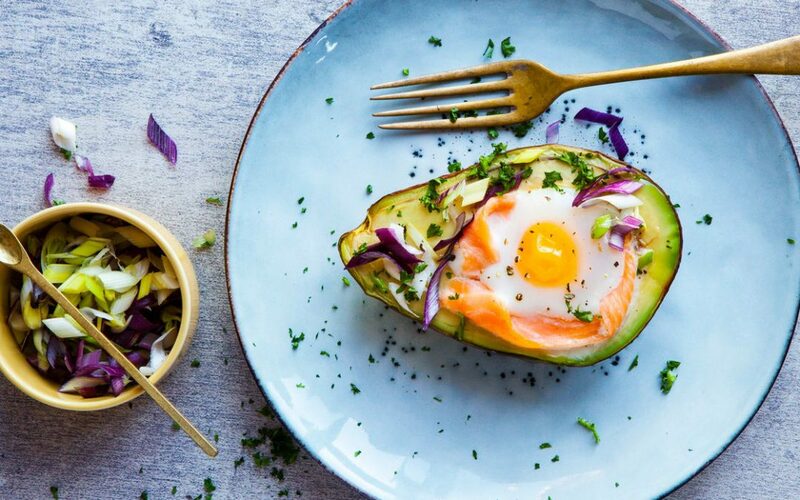 The keto diet has a number of pros and cons. Well aware of potential limitations, like keto flu (discussed below) and the compromises you have to make on a restrictive plan, you’re ready to give keto a try. I’ve talked about the wrong way to do it, but how can you intelligently get into ketosis and get all of its benefits, including promoting great gut health? Feel free to practice cyclical ketosis (maybe doing a ketogenic diet five days a week and going higher in healthy carbs the other two days) or whatever works for you. I’ve never heard an expert say you should be in ketosis 24/7, and militantly sticking with this plan can ultimately stall your goals. Once you’re in ketosis, you can transition to a more flexible ketogenic plan. You can rotate complex carbs, like sweet potatoes, pumpkin, and butternut squash, into the diet every three to four days to maintain your glycogen stores if you work out and lift weights regularly. Some people just “know” they are in ketosis. For others, they want more concrete proof. Signs you’re in ketosis include weight loss, a euphoric feeling that improves thinking and cognition, more energy, mental sharpness, and even moods, with fewer spikes and crashes in your blood sugar levels that lead to mood swings, lethargy, and other issues. You’ve got to earn those benefits. They usually occur only once you’re keto-adapted, which might take days or weeks. In the interim, you might experience bad breath and the keto flu (more on that in a second), which are less-than-pleasant, though usually temporary. If pricking your finger regularly isn’t for you, you can also use ketone strips, which measure ketones in your urine. Some critics argue they aren’t as accurate as checking blood levels, but they can provide some indication of whether you’re in ketosis, they’re less expensive than glucose meters, and you don’t have to prick your finger multiple times daily. Those are some of the signs of keto “flu.” You’re snappy at your co-workers, your sleep becomes terrible, and you might even feel lightheaded. 1. It’s all in the balance. As the Atkins diet makes abundantly clear, problem foods like gluten and dairy can slip into the strictest low-carb or keto plans. I often see patients “doing keto” with massive amounts of cheese or processed meats full of fillers, which is a terrible idea. These potential top food sensitivities increase inflammation and create problems with gut permeability, leading to leaky gut syndrome.